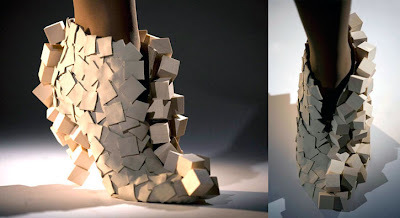 From the mind of Andreia Chaves, these amazing footwear concepts are a combination of mathematics and artistry. 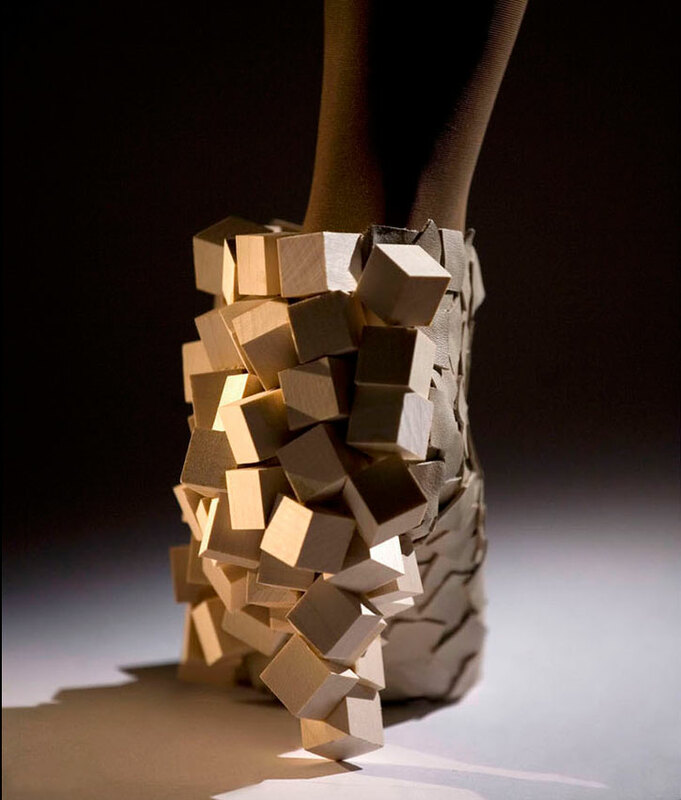 While studying form, texture and visual effects in Florence, Italy, Chaves created a range of wildly geometric shoes from unconventional materials. 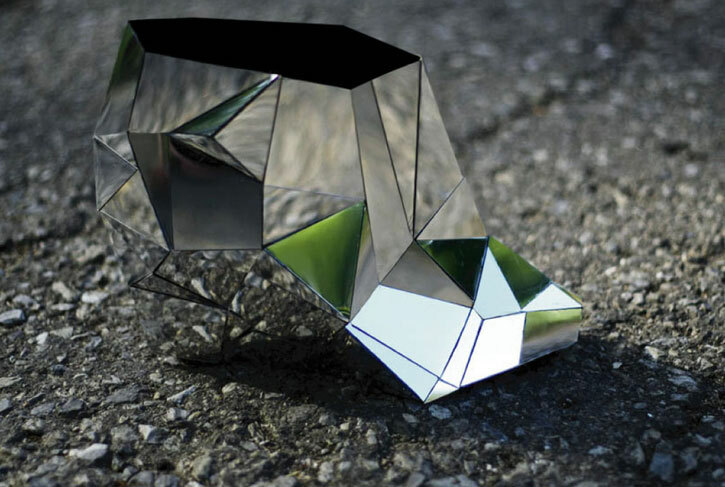 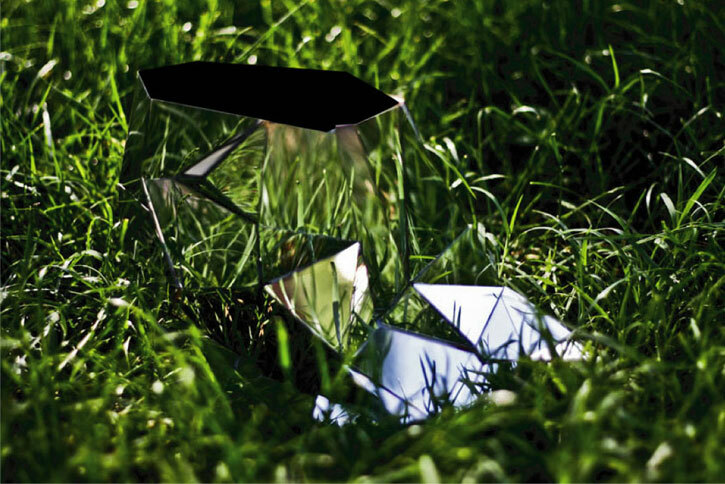 The 'Invisible Shoe' (first image), is an asymmetrically mirrored low-cut boot, reflecting its surroundings and making the color of the world a part of your wardrobe. Although they may not be practical (depending on your point of view) the rest of Andreia Chaves’ concept work is truly on the cutting edge of fashion.